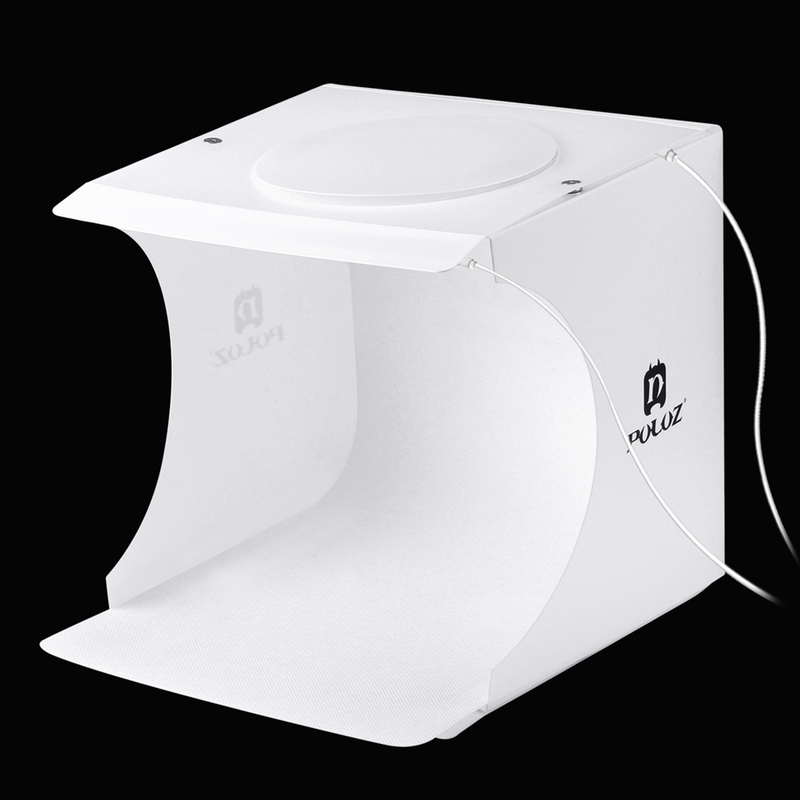 All-in-one portable studio, easy to use & disassemble. 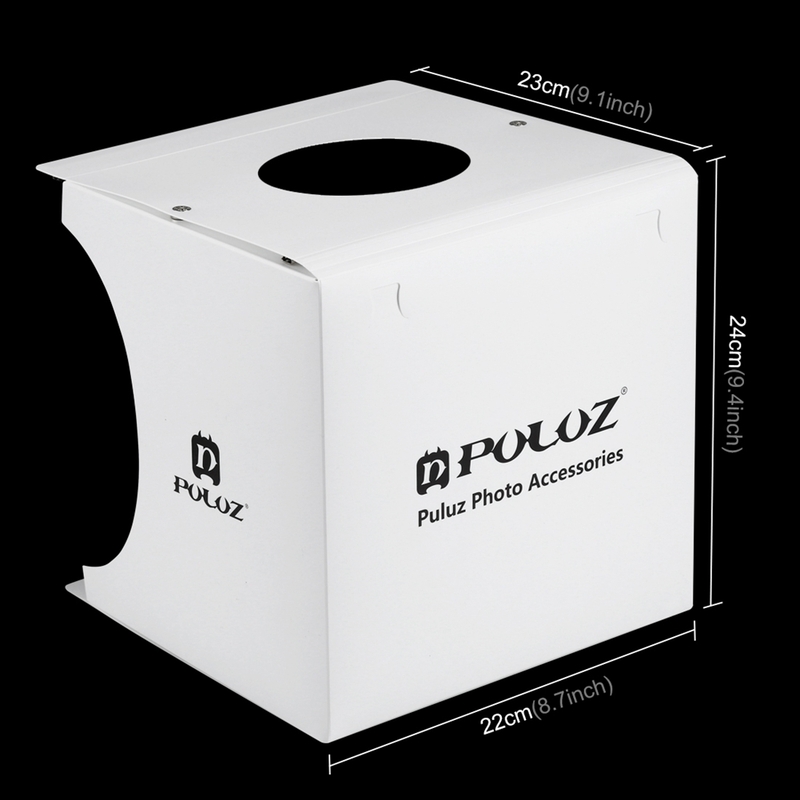 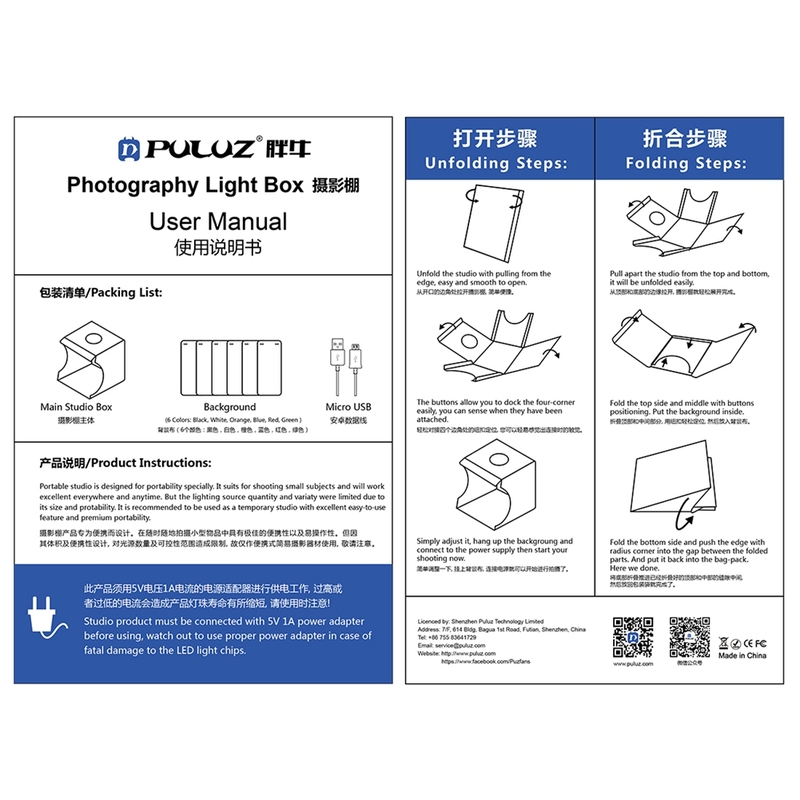 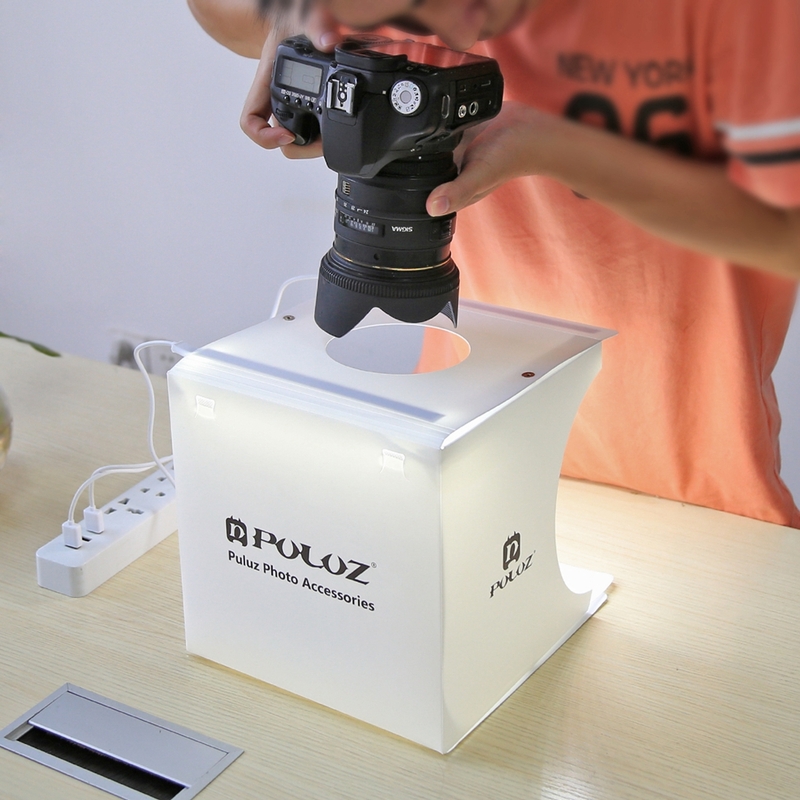 The photography light box is designed for small items of photography enthusiasts, crafters, artists, students and other online sellers, professionals and product advertising clients. 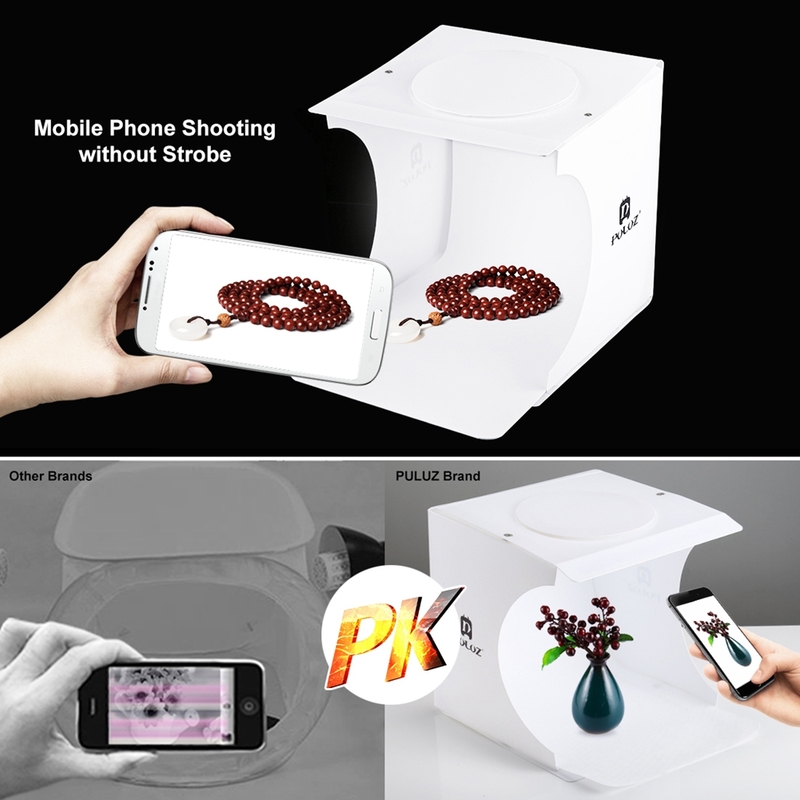 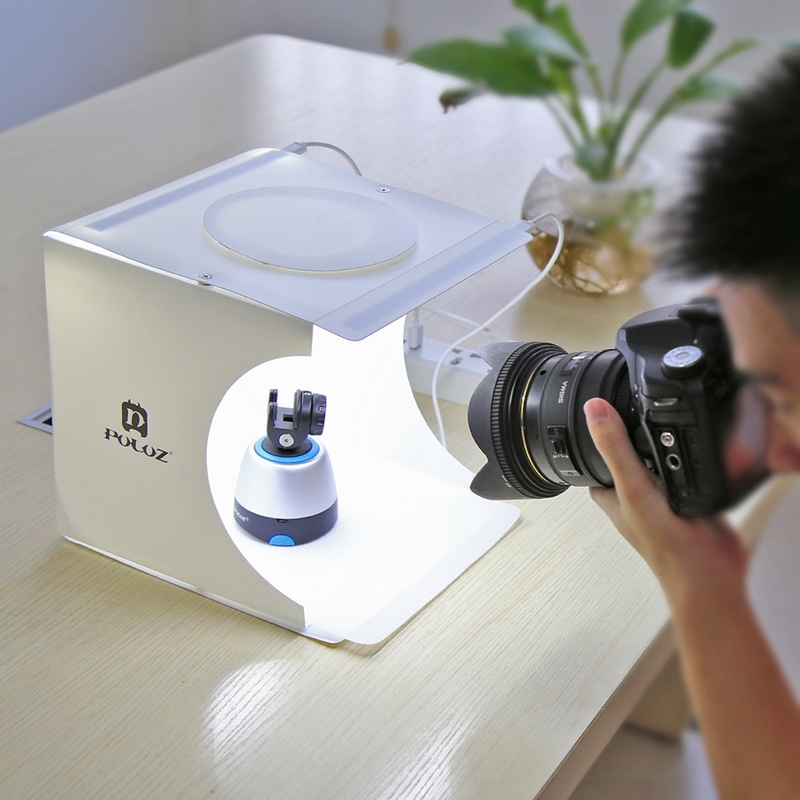 Light box studio allows quick and easy shooting of small products such as jewellery, accessories, toys, watches, gadgets and other items. 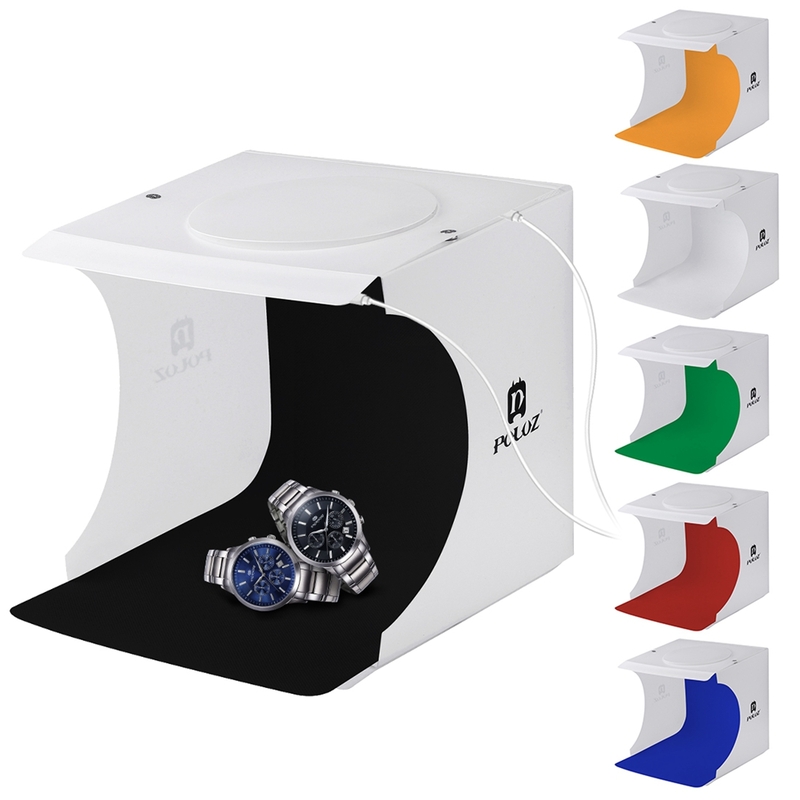 Assemble your own photo studio anywhere in minutes, you can unfold this LED light box studio and place it on any surface to get the perfect backdrop for small articles business photography, taking pictures for them. 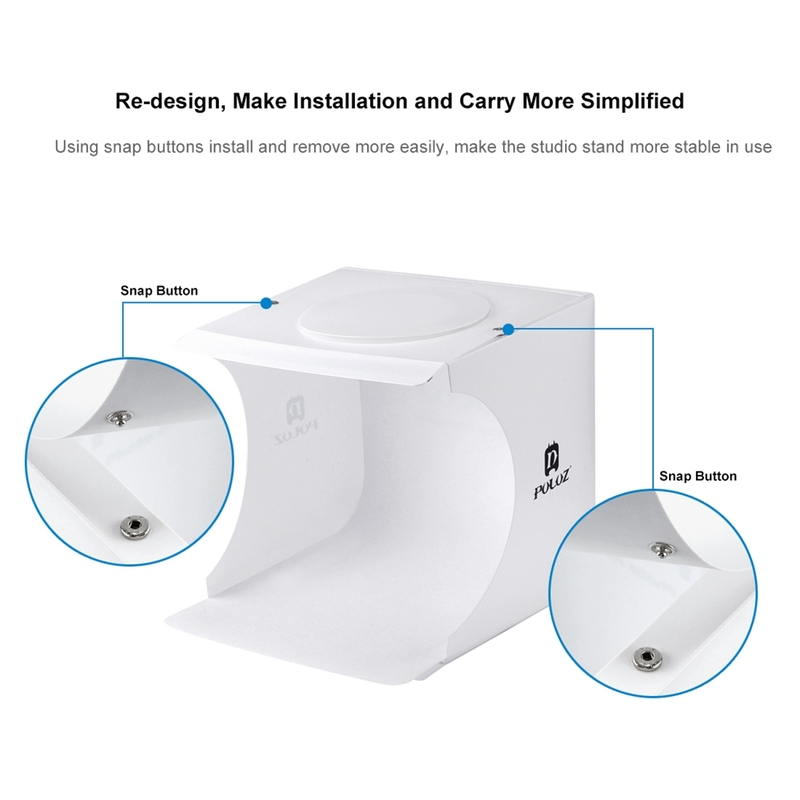 Portable folding snap button structure design, more convenient to install and carry, built-in led light, providing average light and prevents shadows and reflections in your photos. 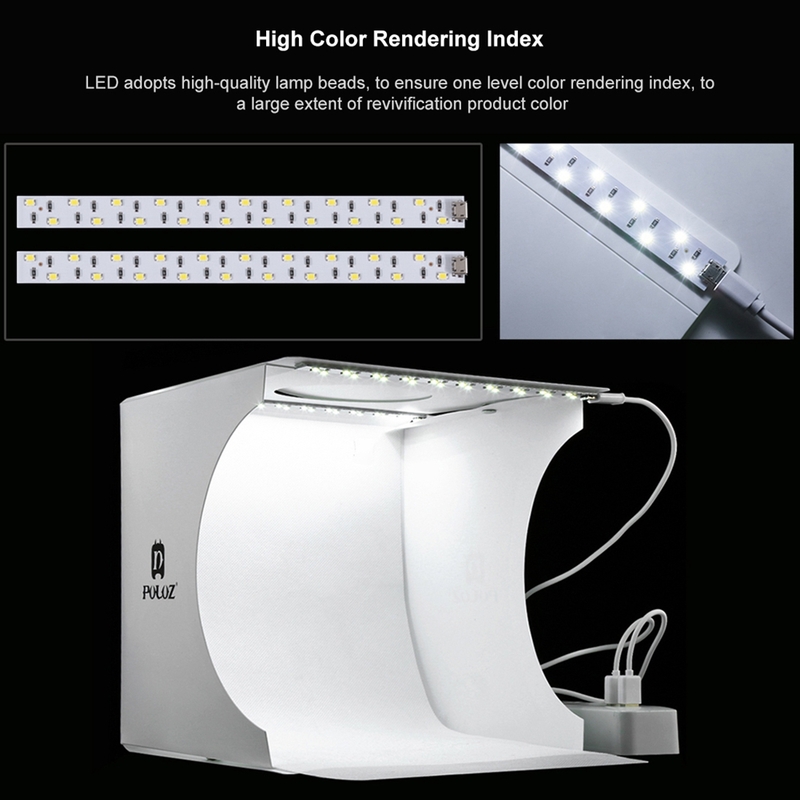 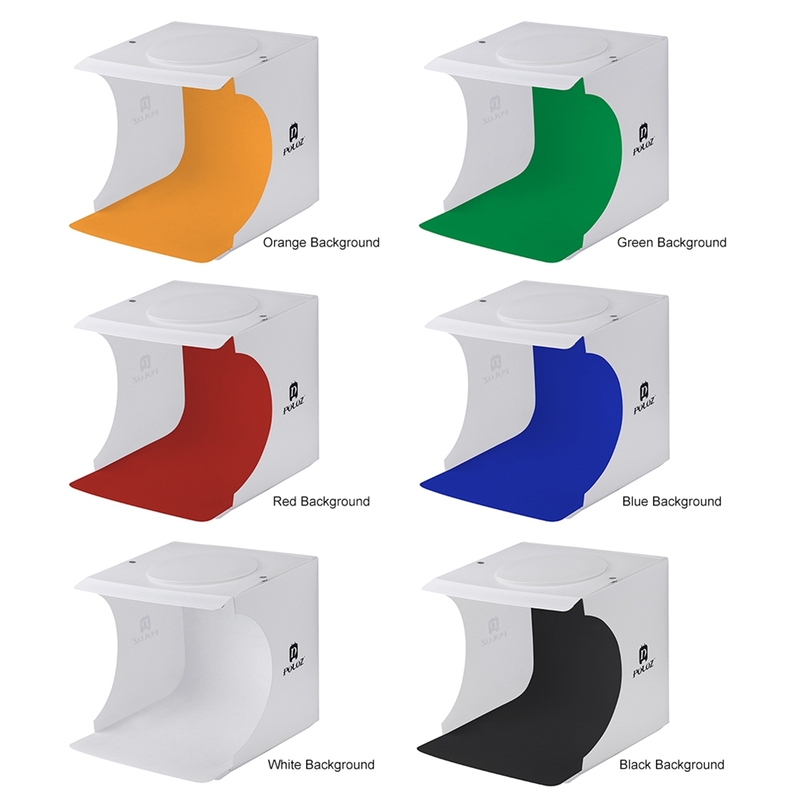 With 6 EVA backgrounds(Black, White, Orange, Red, Green, Blue), and built-in LED panel light and USB cable(you should prepare a USB charger, power bank, or USB hub to power it). 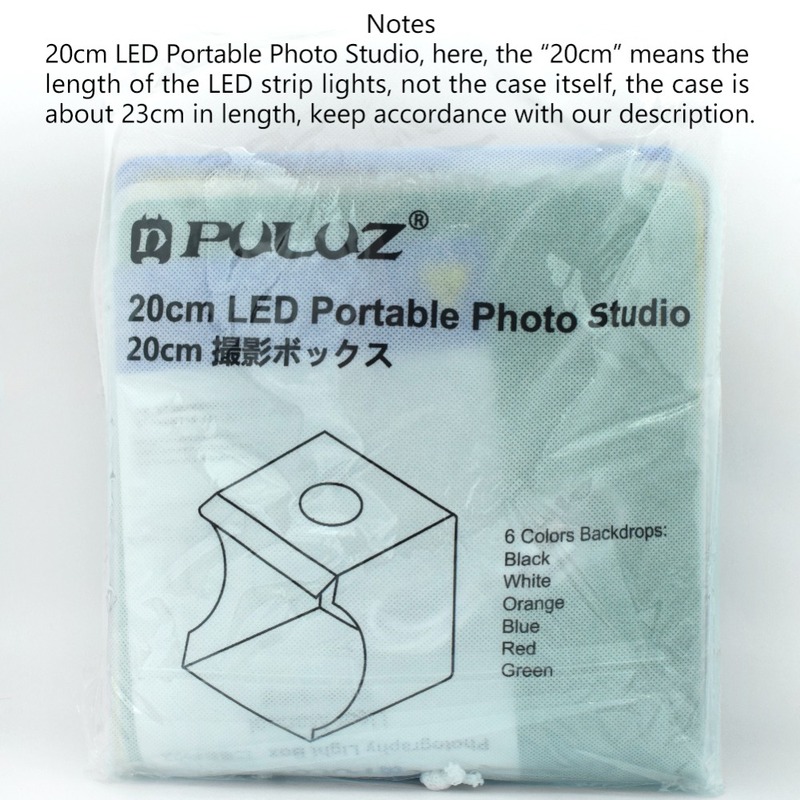 Mini and light-weight, only like a book when folded, easy to take anywhere. 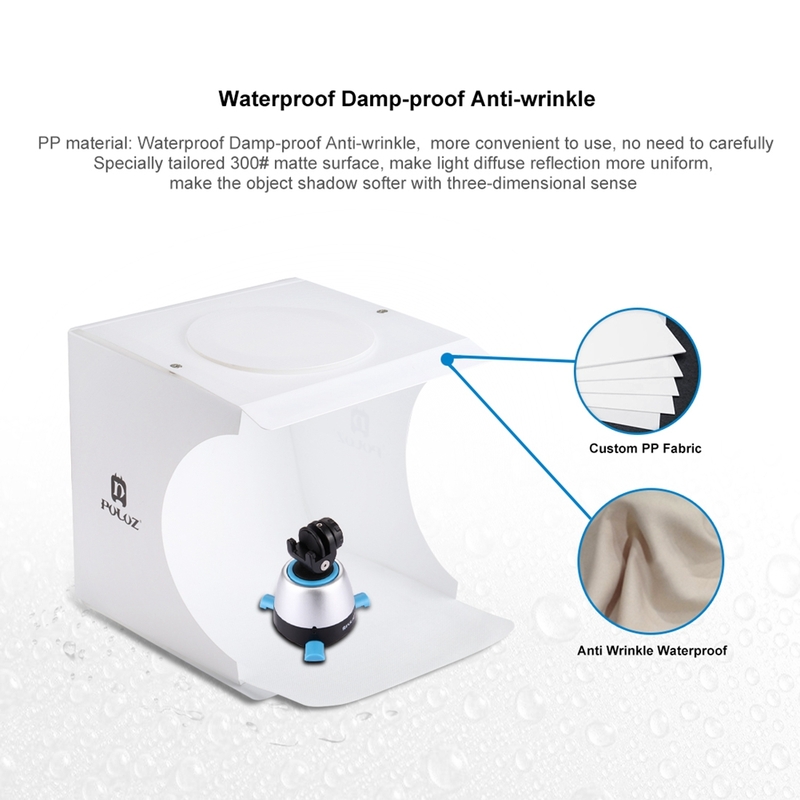 Please allow 3-5 mm size deviations due to manual measurement.